Decision table provides a handy and compact way to represent complex business logic. In a decision table, business logic is well divided into conditions, actions (decisions) and rules for representing the various components that form the business logic. What Decision Table can do? Decision table is a way to decision making that involves considering a variety of conditions and their interrelationships, particular for complex interrelationships. People use decision table to represent and discover business logic, which ultimately lead to better business. 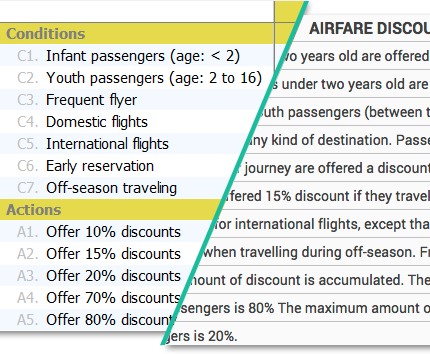 Using a decision table software offers many benefits over paper methods. First, it makes editing and re-editing easy. 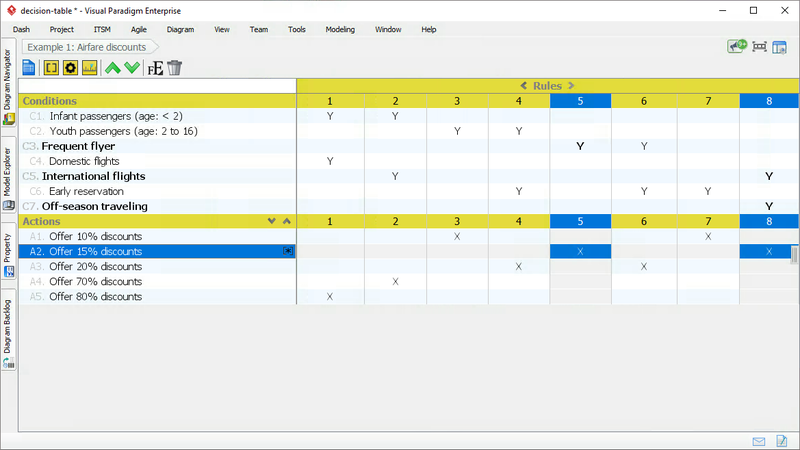 Contemporary decision table tools can also give added value by supporting features like conditions/actions/rules highlighting, table layout, reporting, etc. And of course, when it comes to working with a software, it makes sharing, discussion and management of work much easier.